An interesting one ... interlocks with this thread ... promises ... legally enforceable ? Northern Rock : US firm " Misled " UK government on mortgages. But the company hasn't provided any new mortgages and 65,000 homeowners are still trapped on high interest rates. Lisa and Mark Elkins have to pay £2,500 a month on their mortgage because their interest rate is nearly 5%. That's about three times the best market rate. But Lisa says they now have no choice but to sell their home of 15 years: "I love the neighbours and I love the house but it's become a rock around my neck. You feel like you're sinking and you can't get up and I can't have that any more." Mark tells the programme the money could have transformed their lives: "We wouldn't have been forced into taking on loans from family and struggling. I could have a day or two days off, I could have had a weekend." The Labour peer Lord McFall says that many homeowners are paying large amounts of extra interest: "In some of the case studies I've seen, people with a mortgage would be paying an extra £40-50,000 in the mortgage before it's completed. That is totally unacceptable." In a letter to the peer, UKAR said that "by returning ownership to the private sector the option to be offered new deals, extra lending and fixed rates should become available to them". "The reply to Lord McFall sent on behalf of the UKAR board of directors was based on information presented to UKAR and the board had no reason to disbelieve this at that time." They said they planned to "evolve into an online challenger bank" providing customers with "a wider range of products". Before the sale was finalised, however, the Financial Conduct Authority told Cerberus it couldn't offer new mortgages until it put the right systems and people in place. Nearly three years later, Cerberus still hasn't done that. The private equity firm said: "Cerberus and our affiliates take great pride in being good corporate citizens who are committed to compliance with the strongest ethical standards and all legislative and regulatory requirements. We reject any allegations by BBC Panorama to the contrary." Rachel and Adrian Neale, from Hinckley, fell into arrears on their mortgage when Rachel became seriously ill with Crohn's Disease. They have paid off most of the arrears and have kept up their monthly payments with Cerberus's mortgage company, Landmark Mortgages. But Landmark keeps making mistakes and issuing default notices. "You're in their palm basically," said Adrian. "They can do what they want, that's how it makes you feel, they can pull the rug from underneath you at any time." It can take hours on the phone to sort out the mistakes and the default notices have badly affected Adrian's building business. "I can't take on big jobs because I can't gain credit to fund a big job. Building merchants, credit accounts, I can't get access to it and it's held me back massively really in my business." Landmark says it is committed to high standards of fair customer treatment: "Our staff are trained to deliver fair, consistent and right customer outcomes. Landmark promotes high conduct standards, adopting a tailored approach to customers experiencing financial hardship to ensure we find a suitable and fair solution." Another clear case of us , the taxpayers , being taken for a ride. Crocodile tears time again ? Future Capital Partners has gone into liquidation after an HRMC crackdown. It attracted over £7bn in investment from 6,000 celebrities and wealthy clients. The combined tax bill faced by clients is understood to be around £500m. The company was one of the UK's biggest managers of tax avoidance schemes, but its closure has left a trail of crippling losses, tax bills, penalties and potential bankruptcy for many household names. It attracted over £7 billion in investment from 6,000 celebrities and wealthy clients. They included footballers and managers, such as Sir Alex Ferguson, the former Manchester United manager, and ex-England boss Sven-Goran Eriksson. FCP had hundreds of film schemes including Eclipse 35, which left investors facing heavy losses after the taxman's challenge. Many investors spent more money with FCP after it launched a legal challenge in an attempt to protect their schemes. EU clamps down on Isle of Man tax loophole for private jets and yachts. European commission writes to UK over ‘abusive practices’ in crown dependency. The European commission has launched infringement proceedings against the Isle of Man and Italy over what it says are illegal tax breaks given to some of the world’s wealthiest people over their purchases of private jets and yachts. The Guardian and the BBC revealed last November how the Isle of Man, a crown dependency that officially belongs to the Queen and is answerable to the British government, had allowed billionaires and multinational companies to avoid £790m of VAT on more than 200 aircraft imported to Europe since 2011. The avoidance came to light through the Paradise Papers, a leak of data from the offshore law firm Appleby, which was obtained by the German newspaper Süddeutsche Zeitung and shared by the Washington-based International Consortium of Investigative Journalists with media around the world, including the Guardian. The Formula One driver Lewis Hamilton was among those who avoided tax under schemes now deemed by the commission to be contrary to EU tax law. Hamilton, who paid no VAT when importing his red £16.5m Bombardier jet, said at the time that he had instructed a senior lawyer to check his arrangements and he had been told they were lawful. A number of Russian oligarchs who have since been blacklisted under US or European sanctions regimes also avoided tax using the schemes. They include Vladimir Putin’s family friends Arkady and Boris Rotenberg and the aluminium magnate Oleg Deripaska. The commission’s decision is a blow for EY, one of the “big four” accountancy firms, whose local office in Douglas advised on many of the private jet refunds approved by Isle of Man customs. EY declined to comment. Marshalling so as to minimise UK tax ? Streaming company Netflix is under investigation by HMRC over its tax affairs. Netflix estimated to make £71.9million from its British subscribers each month. HMRC could be looking into the transfer pricing deal between the British arm and its Dutch parent. The online streaming giant admitted its British accounts are ‘under examination’ by HM Revenue and Customs. Details of the investigation were disclosed in documents filed to American regulators, the Times reported. t comes as big technology companies including Google and Facebook come under increasing scrutiny over their tax affairs. Netflix has reported an increase in revenues and profits, according to accounts filed this week. According to accounts filed in early October, Facebook boosted its UK revenues to £1.26bn for the year ending December 2017, up from £842m in the previous 12 months. The company’s corporate tax bill, which has long been scrutinised by MPs and consumer groups, increased from just £5.1m to £15.8m. Facebook reduces its tax bill in Britain by routing a significant amount of revenue via its international headquarters in Dublin. Chancellor Philip Hammond has previously threatened a new tax on tech companies, called a ‘digital services tax’, which could tax revenues. The Government has pledged to take a tougher stance on the international giants’ tax structures. Netflix’s main European office is located in Amsterdam, which has become a favourite of technology companies due to its soft tax rules. Netflix Services UK Limited – the company’s British subsidiary - employed only 14 people at its London office by the end of December, according to its most recent accounts. Its British arm declared revenues of £23.9m (26.9 million euros) and pre-tax profits of £1.12million (1.27 million euros). Netflix’s standard package for British users offers unlimited streaming for £7.99 a month. If the company’s 9 million subscribers pay around this much per month, Netflix makes £71.9million from its British subscribers each month. This works out to be around £863m each year. HMRC could be looking into the transfer pricing deal between the British arm and its Dutch parent, which determines the amount of revenues that Netflix reports in the UK. Netflix did not explain why HMRC was examining its tax arrangements. Five local councils are investing in student loans sold off on the cheap. Student Loans Company was ordered to sell around £3.3bn of debt last year. 17% of the loans have ended up in the hands of powerful investment companies. Five local councils and a string of investment giants are investing in student loans sold off on the cheap by the Government, The Mail on Sunday can reveal. To raise cash last December, Ministers ordered the Student Loans Company to sell debt estimated to be worth £3.3 billion. The Government later drew stinging criticism from MPs for accepting just £1.7 billion from investors. Hedge funds, private banks and asset managers were among 59 buyers which will be passed any repayments made by students along with the interest accruing on their loans. Official figures show the investors are in line to pocket annual returns of about 6.5 per cent a year with some reaping as much as 13 per cent. The Government’s own figures show the loans will return £1.6 billion more to investors than they paid. Ministers have refused to name those in line to profit. Now an investigation by The Mail on Sunday can reveal that 17 per cent of the loans have ended up in the hands of powerful investment companies. These include Fidelity, Prudential, Invesco, UBS and Wells Fargo banks and asset manager Amundi, which is owned by French bank Credit Agricole. Furthermore, analysis of Bloomberg data shows a number of councils – Hounslow and Greenwich in London along with Dorset, Highland and Scottish Borders – invest in funds which receive income from student loans. Some of Hounslow’s pension fund, for example, is invested in the Fidelity Investment Multi Asset Income Fund, which holds student debt. Scottish Borders invests part of its pension fund in the M&G Alpha Opportunities Fund, which is owned by Prudential and holds £340,000 of the loans. The UK’s student loan system has long drawn criticism from campaigners with most graduates in England leaving university owing tens of thousands of pounds. Interest rates on loans currently being issued to students to cover fees of up to £9,250 a year have risen to 6.3 per cent. The Government has said it intends to privatise all of the loans which were issued to students before 2012 and it is weighing up whether to sell off more. A spokesman for the National Union of Students said: ‘The sale of student loans itself has already led to a significant loss of future income for the public purse and students are once again being asked to pick up the bill. The tranche of debt sold off by the Government relates to students who graduated between 2001 and 2005. At the time, young people could borrow up to £1,000 a year to cover fees. They began repaying the loans when they started work, handing back 9 per cent of earnings above £18,000 a year. They are currently being charged interest at 1.75 per cent. All repayments are collected by the taxman and passed to the new owners of the loans. The Government had been trying to privatise its 2001-2005 student loan book since 2013. After it pressed ahead last year, the influential Public Accounts Committee of MPs blasted the Department for Education and UK Government Investments, which manages state assets, for getting only 48p for every £1 of supposed value in the loan book. The committee said the Government had failed to demonstrate ‘how the deal is in the best long-term interests of the taxpayer’ and attacked officials for refusing to name those who would collect the profits. In a heated exchange in the House of Commons, civil servant Jonathan Slater argued that ‘you get a better price if you apply the confidentiality rule than if you do not’. In response, the committee called on the Government to release the names of investors in any future sales. The Mail on Sunday submitted Freedom of Information requests asking for the list of those successful in last year’s auction. But officials refused and cited an exemption where the ‘commercial interests of any person’ may be compromised. Councils defended their investments last night, saying the funds ‘maximised’ returns in the interest of their members. Dorset County Council said it was a priority to ‘maximise the value of investments’. Highland Council said investment decisions are made in line with principles which govern where it can invest. Greenwich Borough Council said a panel was tasked with finding the best way to pay pensions to beneficiaries. Scottish Borders Council said its holdings were part of a ‘balanced portfolio’. Hounslow Borough Council did not respond to requests for comment. Freelance consultants who work for the NHS and local government have been allowed to get away with breaking the law IR35 for years. I think HMRC even gave certain workers exemption from IR35. But no exemption for anyone working in the private sector I can tell you. Since the early 80's freelancers working in the private sector have been hounded by HMRC under IR35. In 2017, Google moved $22.7billion to a tax haven in Bermuda. The tax evasion strategy is called a " Double Irish, Dutch Sandwich. " It legally allows companies to channel profits through an Irish company then a Dutch one to a subsidiary based in a place with no income tax like Bermuda. However, the practice may be illegal by 2020 due to reforms by the U.S. and E.U. Google Netherlands Holdings BV paid $3.8million in taxes in the Netherlands in 2017. MPs attack ministers over delay to tax havens' public registers. British overseas territories win reprieve after threatening legal action or secession. The government has been accused of defying parliament by delaying plans to require British tax havens such as the British Virgin Islands to bring in public registers that reveal the true identity of owners of companies sheltering assets. Foreign Office ministers have caved in after a rebellion in the British overseas territories, including threats to take the government to court or even to secede from the UK. The British-administered tax shelters have always been seen as a blight on the Conservative claim to be fighting the multibillion-pound corruption industry. The Foreign Office told the overseas territories that they did not need to introduce compulsory public registers until 2023 – three years after the date MPs had thought they had set by law in a fractious debate last May. The date means public registers in the overseas territories, seen as critical to winding down tax avoidance, will not be introduced until a decade after David Cameron first raised the issue as a flagship anti-corruption measure ahead of the UK chairmanship of the G7 industrialised economies. A cross-party alliance of MPs last May, led by the former Conservative cabinet minister Andrew Mitchell and the former chair of the public accounts committee Margaret Hodge, had forced the government to concede that it would introduce an order in council by 2020 requiring public registers to be set up if the overseas territories had not done so voluntarily by that date. He pointed out the amendment to the sanctions and money laundering bill that was passed set a deadline of 2020 for the order in council. MPs pushing this motion made clear this was also seen as the deadline for the introduction of the public register, he said,and that was also the understanding in the overseas territories. Ministers appear to have backtracked after the 2020 deadline caused outrage in the overseas territories, which are worried that this timetable for disclosure requirements would lead to a flood of business decamping to other more secretive tax havens. Territories including the Cayman Islands argued that public registers should only be compulsory when they are introduced worldwide. He said the only obligation provided in the legislation was to pass an order in council by 2020, but no date for the actual introduction of the public register was set. He has formally advised the overseas territories of this new timetable in writing following a meeting of the joint ministerial council, the body that brings together ministers and the overseas territories. Tax transparency campaigners have argued for more than a decade that only a public register will force companies to end the systematic tax evasion that lies at the heart of the economies of the overseas territories. A public register would be available to tax experts and reporters, not just law enforcement officials. The overseas territories are already in the process of setting up registers of beneficial ownership of companies that will only be available to law enforcement officers on request. Hodge said the cross-party alliance against tax havens had, in private negotiation with ministers last year, agreed to defer the introduction of the public register by a year to 2020 after ministers argued the territories were struggling to cope in the wake of hurricanes. The new timetable sets the date for the public register beyond the next UK election, opening the possibility that the timetable could be deferred further. Chancellor's firm pays paltry tax bill as Hammond tells web giants to pay " Fair share." Philip Hammond has paid just £5,964 in tax on total profits of £1.6million. That is an effective tax rate of 0.4 per cent. Critics said the revelations were at odds with statements he has made on corporation tax. Chancellor of the Exchequer Philip Hammond was facing questions about his business affairs last night after it emerged that a private company in which he holds an interest has paid virtually no tax – despite making £1.6million in profits since he joined the Government. An investigation by The Mail on Sunday has revealed that a construction firm linked to Hammond has paid just £5,964 in tax on total profits of £1.6million since it was set up in 2010. That is an effective tax rate of 0.4 per cent – a long way below the standard 19 per cent corporation tax rate. Tax experts said the company, Chiswell (Moorgate) Limited, appears to have taken advantage of rules that legally allow firms to minimise tax bills when their profits are unpredictable. 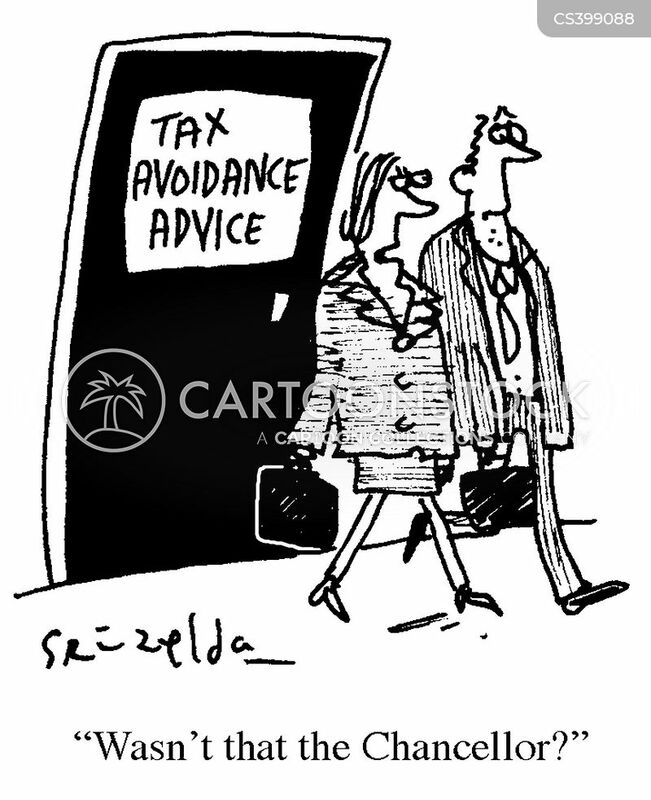 The Mail on Sunday has established that one of the firm's directors also works as an accountant who specialises in 'mitigating' tax. There is no suggestion of wrongdoing by Hammond or the company itself. However, critics said the revelations were at odds with statements he has made on corporation tax. As Chancellor, he has launched a crackdown on web giants such as Amazon and Google, which have been accused of using legal means to reduce their tax bills, and called on them to pay their 'fair share' to support public services. Former Business Secretary Sir Vince Cable, leader of the Liberal Democrats, said: 'The Chancellor is without doubt a man of honesty and integrity who makes legitimate use of his experience as a successful entrepreneur. Hammond's links with Chiswell stem from the time before he became Transport Secretary in 2010. Hammond, 63, was a successful entrepreneur who amassed a multi-million pound fortune from his construction empire, which builds houses and care homes. Once he became a Minister, Chiswell was established as the parent company of the firms he owned – or part-owned – to distance him from his business interests. He has no involvement in the running of any of the companies owned by Chiswell, but he is a beneficiary through The Hammond 2010 Discretionary Settlement trust, which controls Chiswell. Since it was established in 2010, the company has made an annual profit in five separate years, totalling £1.6million. In three of the eight years, Chiswell made annual losses. Normally, a company is expected to pay corporation tax in any year in which it makes a profit, but not when it makes a loss. If it had paid the standard corporation tax rate on the £1.6million it earned in profitable years, the company would have paid the taxman around £300,000. According to accounts filed with Companies House, Chiswell made a small loss last year of £5,109 and so is not expected to pay any tax. Its biggest profit was in 2017, when it made £788,633. It did not pay any tax that year. The only year in which the company did pay tax was 2015, when it handed over £7,567 – even though it made a loss – to account for taxes owed from previous years. However, it also received a rebate of £1,603 in 2011, meaning the firm's total tax bill in eight years of operation has amounted to £5,964. Tax experts said it was unclear exactly how the company had reduced its tax bill. But they suggested it had used rules that allow the storing up of tax reliefs from years when a company makes a loss and using them when it makes a profit. It is also possible for a firm to offset losses at one of its subsidiaries against profits at another, such as the parent company. Critics said the Chancellor should be setting an example of good business ethics by making sure companies in which he has an interest pay the standard rate of corporation tax. Chiswell's main operating subsidiary is Castlemead, a Wrexham-based company co-founded by Hammond in 1984. It started out as a housebuilder, but business took off in the early 2000s when it began building doctors' surgeries and care homes. Castlemead Group Limited is 65 per cent owned by Castlemead Limited, which is in turn entirely owned by Chiswell. While none of the companies has paid a dividend for a number of years, Hammond previously extracted millions of pounds from his construction empire. Between 2003 and 2010, he and his wife Susan received dividends worth £3.75million from Castlemead. At its peak in 2007 before the financial crisis struck, they cashed in £1.75million. Richard Murphy, of campaigners Tax Research UK, said the complex nature of Hammond's business empire meant it was not possible to put an exact figure on its tax payments. Simon Linley, a director of Chiswell and a nominee for Hammond's trust, declined to comment. He is an accountant at Tunbridge Wells-based Creaseys, which counts Hammond's company as a client. It said it did not comment on clients. On Creaseys' website, Linley says he is a tax specialist who gives advice on 'mitigating capital gains tax and inheritance tax'. Another nominee for the Hammond trust is his friend Lord Moynihan, the former Sports Minister. Backlash over Google's tax as cash floods in : Tech giant shifted nearly £20 BILLION of its overseas takings to Bermuda. Sales at Google's parent company jumped 21 per cent to more than £30billion in the final quarter of 2018. The results took the internet search giant's full-year takings to a staggering £105billion, compared to around £85billion the previous year. Most of the cash came from online advertising. Alphabet, which includes Google, said it made £6.9billion in profit for the three months to December 31 and about £23.6billion in the full year. Analysts had expected the figure to remain virtually flat, but instead it was up 15 per cent to £5.7billion for the quarter. It came as Google faced fresh anger over its UK tax bill after the latest set of blockbuster earnings. Campaigners claimed its tactics to reduce its foreign liabilities were 'an affront to all those who pay their fair share'. The company's fourth quarter sales dwarfed its last-published UK tax bill of just £50million. Critics have rounded on its use of complex arrangements to shift nearly £20billion of its overseas takings into tax haven Bermuda. The cash was channelled through its Ireland and Netherlands businesses, using a legal loophole. Accounts published by Google UK Ltd last year show the business's corporation tax bill came to £49.3million for the year to June 30, 2017. That was after sales of £1.27billion and profits of £202.4million. Recurring theme ... the use of tax loopholes. Seems simple enough . Mr. Chancellor ? Close said loopholes from the UK end ? Problem eliminated equals problem solved ?